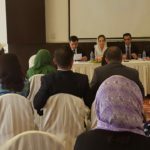 Afghanistan Rights Monitor (ARM) is designed to support informed policy and action on fundamental rights protection and promotion in Afghanistan through research, constructive advocacy, and increased capacity of public institutions in responding to citizens’ rights needs. Research undertaken as part of ARM shows that food security remains a critical issue in almost all provinces surveyed. Food aid by international agencies active in Afghanistan is insufficient to feed all those in need and government provides food and other assistance only in emergencies such as earthquakes and floods. Around 9.3 million people in Afghanistan are in need of food assistance, according to the latest World Food Program report. Almost six percent of the Afghan population is severely food insecure on current consumption and coping capacity accounts . During the 2015 pre harvest period the total number of severely and moderately food insecure individuals was estimated at around eight million. The 2013 National Nutrition Survey found 40.1 percent of the country’s children under five years of age to be chronically malnourished. Female-headed households are almost 50 percent more likely to be severely food insecure, having a much poorer diet than their peers, and a much lower income. IDPs, particularly those living in tents, have a high share of the food insecure population. Despite the higher wheat harvest expected for 2016, one third of Afghan population is likely to remain food insecure. Current data suggest that poverty and unemployment have resulted in alarming rates of food insecurity throughout the country. 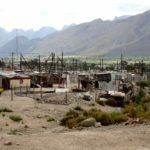 However, since December 2015 there has been no change in access to food and in the condition of the food insecure population across the ten provinces monitored under ARM. The principal causes of food insecurity in Afghanistan are widespread poverty, lack of job opportunities, low household income, insufficient domestic agricultural production, land and water scarcity, climate related issues such as droughts, increasing population, conflict and insecurity, and displacement due to any or all these preceding factors. Food insecurity results in forced sale of land and other assets, early marriages of girls, and taking children out of school and sending them to work. There remains a tradition throughout the country for the wealthier families to assist poorer neighbors and relatives through food and clothing donations. However, community assistance is ad hoc and unreliable. In some communities zakat, an Islamic tax, is collected by the elders and distributed among the extremely poor. Mosques do not play a direct role in feeding the poor except on special occasions. Many mosques provide assistance by making announcements during Friday prayers by asking for donations from the congregation for individuals or families with a tragedy at hand such as a funeral. During the month of Ramadan, mosques provide Iftar food for everyone, but this food is not targeted toward the food insecure. The poor typically congregate outside mosques to beg for food and money. Community support for the food insecure in rural areas is more common than in urban settings. In rural areas a close-knit social system generates general awareness regarding the community members in need. Closely-knit social systems are much less present in urban areas. Lack of food results in increased family conflicts. In some cases, out of helplessness to feed the family, people have attempted to commit suicide. Food security is subject to seasonal fluctuations, especially in the rural areas. The rural population has better access to food during the harvest season than during the winter and spring periods. 1. As well established and trusted institutions, mosques should take an active role in providing food assistance to the needy. Setting up community kitchens within mosques by using funds from donations and zakat, for example, could provide food for the most food insecure on a regular basis. 2. The traditional system of ad hoc help, where wealthier families and business community provide food and other assistance to poor, should be formalized and organized, possibly through coordination with mosques, for the provision of food for the most vulnerable. 3. There should be active coordination among aid agencies, mosques, and traditional system of assistance in designing responses to acute and chronic food insecurity. 4. Aid agencies and the government should prioritize food security for the health of the nation and fighting abject poverty, the latter being a fertile ground for discontent. 5. Left over food from hotels and restaurants, especially in major cities and provincial centers, should be collected and sorted hygienically and distributed to the poor and food insecure in coordination with and cooperation by mosques. 6. Media should be alerted to the seriousness of food insecurity throughout Afghanistan and guided in its public awareness messaging on the need for or availability of sources of relief such as mosques and community kitchens. 7. Media, particularly radio, should be used to encourage better-off citizens to contribute to efforts for assisting the food insecure.